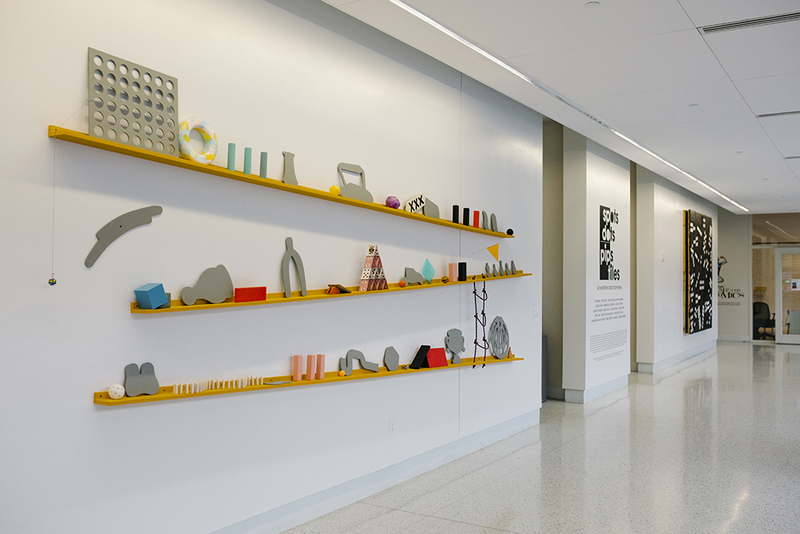 Hunter East Harlem Gallery at Hunter College is pleased to present the exhibition, Spots, Dots, Pips, Tiles: An Exhibition about Dominoes. The group exhibition showcases artworks that reflect the multilayered aspects of the domino game, a tradition that is heavily practiced in the neighborhood of East Harlem and communities with strong Caribbean ties. 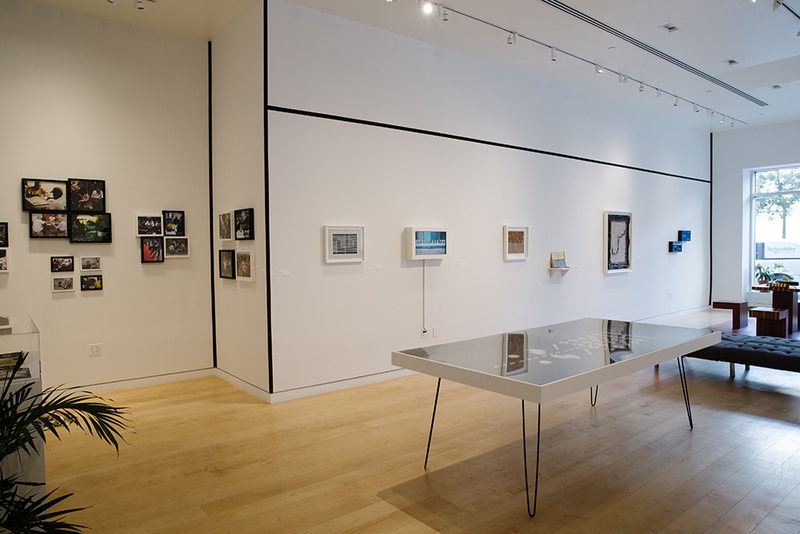 The show features over 19 international contemporary artists working in a variety of media, including painting, mixed-media, sculpture, installation, and video. 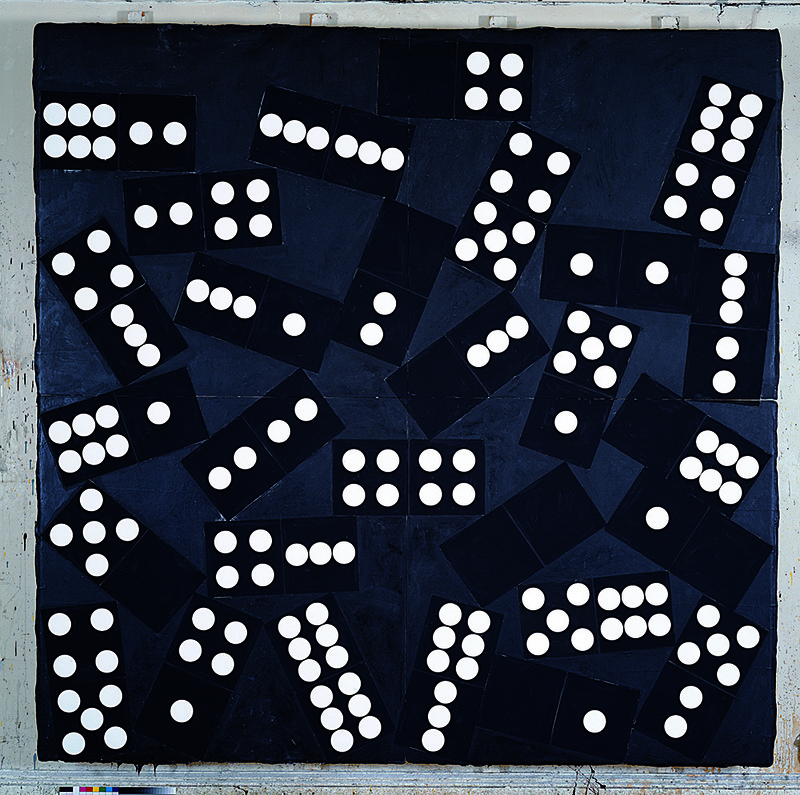 Spots, Dots, Pips, Tiles examines how artists have approached the game of dominoes—its history, community, strategy, and aesthetics—as metaphor and practice. Dominoes, a popular game with origins dating to ancient China, has a discernible aesthetic, political vantage point and offers a look into specific communities that grow around the domino table. 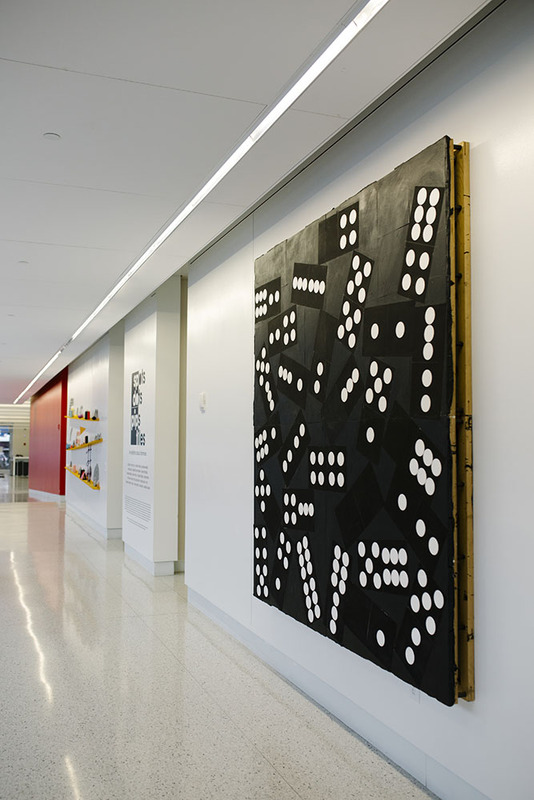 Many of the works in Spots, Dots, Pips, Tiles directly reference the game of dominoes, take up the actual tiles themselves as visual language, and explore the impact of the game on the lives of artists like Donald Evans, Nari Ward, and Edra Soto & Dan Sullivan. Other artists like Glendalys Medina, Erika Verzutti, and José Bento take up the aesthetics of the game—the stark contrast of black on white, the geometry of the tile and the square game table, or the discerning look of concentrated “strategy” in mid-play. Artists like Papo Colo, Rodolfo Peraza, and Betye Saar approach the subject in terms of larger human conditions like political struggles, religious beliefs, and racial stereotypes. Inside the gallery, visitors will encounter a documentary section containing over two dozen historical and contemporary photographs and ephemera from around the world, underscoring the breadth of the game internationally. Spots, Dots, Pips, Tiles is threaded with examples of artists addressing the complexities of dominoes as game and a metaphor for community, aesthetic inspiration, and theory for international relationships. ADÁL, Charlotte Amalie, Gerry Balding, Ian Berry, Carsten ten Brink, Luis Carle, Adam Cohn, Dottie Day, Master Sgt. 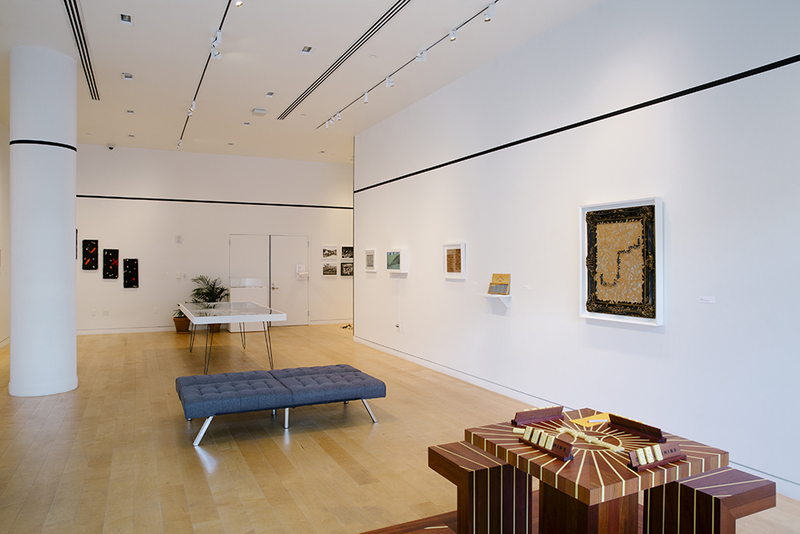 Laura K. Deckman, Jack Delano, Mubarak Fahad, Mingo Hagen, Paul Keller, Liralen Li, Nate Marvin, Susan Meiselas, Maria de las Mercedes, Bo Nielsen, Kyoko Nishimoto, Daniel Noll and Audrey Scott, Carlos Ortiz, Edwin Rosskam, Justin Schier, Marion Post Wolcott, Patrick Zachmann, Center for Puerto Rican Studies at Hunter College and more. 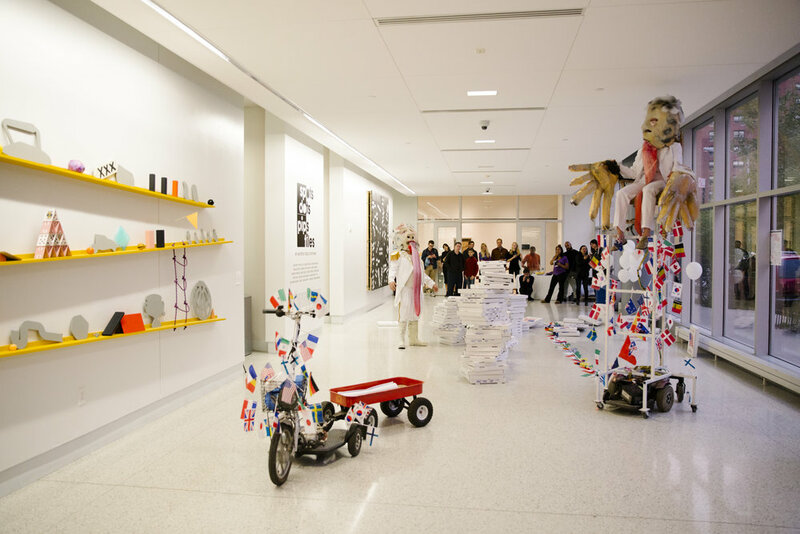 Spots, Dots, Pips, Tiles: An Exhibition about Dominoes traveled to the Perez Art Museum Miami in Miami, Florida, from June 29 – October 29, 2017. 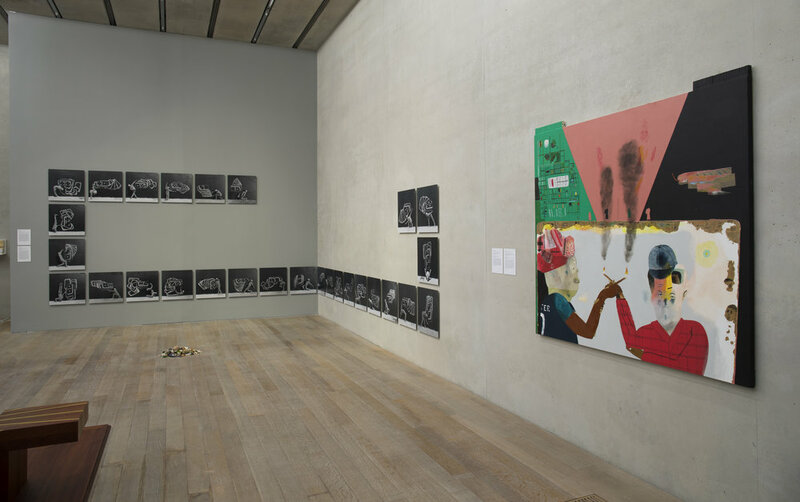 Perez Art Museum artists include: Papo Colo, Donna Conlon & Jonathan Harker, Donald Evans, Öyvind Fahlström, Radamés “Juni” Figueroa, Adriana Lara, Glendalys Medina, Oscar Murillo, Rodolfo Peraza, José Patricio, Robin Rhode, Kenny Rivero, Betye Saar, Curtis Santiago, Edra Soto & Dan Sullivan, Donald Sultan, Ana Maria Tavares, Nari Ward, and Lawrence Weiner.